Property Type 16 – 1 Story W/bsmnt. Divine luxury meets world class design. Epic proportion European masterpiece on 97 ft prime waterfront. 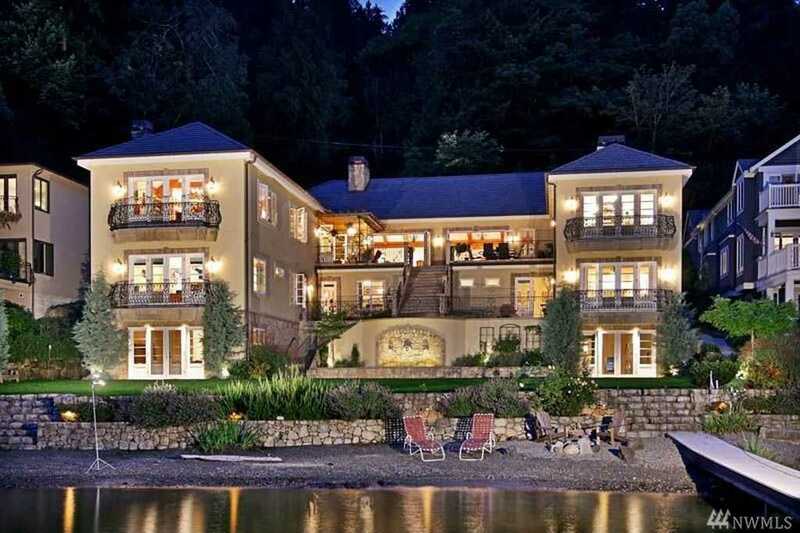 Grand entertaining featuring café doors opening entire walls to lakeside terrace. Gorgeous Lake & Cascade Mt views. Theatre, office, billiard room, 2400 bottle wine cellar + tasting room, hobby studio + flex spaces. 2 kitchens, 2 laundry. New dock. Boat lift. Fairytale extraordinaire awaits. Your happily ever after starts here. “Moving to Lake Sammamish, the BEST move you’ll ever make!” Directions: Northup to W. Lake Samm Pkwy, Rt turn (south) around curve – left at private lane. Style: 16 – 1 Story w/Bsmnt. Listings last updated on April 20, 2019 06:16. © 2019 Brian Lavery | RE/MAX Northwest REALTOR. All Rights Reserved. North West MLS DMCA Notice. Real Estate Website Design powered by Home Junction. The listings presented here may or may not be listed by Brian Lavery. The Real Estate Broker providing this data believes it to be correct, but advises interested parties to confirm the data before relying on it in a purchase decision. The information being provided is for the consumers' personal, non-commercial use and may not be used for any purpose other than to identify prospective properties the consumers may be interested in purchasing.